So we purchased a King 1218VS in December. Took a wait to get the chuck and jaws we wanted, but we are loving it. My problem is when I turn the threaded ring on the tailstock side of the live centre unthreads when I turn. It doesnâ€™t seem to be causing any issues when I turn. However, my gut says that it shouldnâ€™t be doing this. Welcome to the forum. 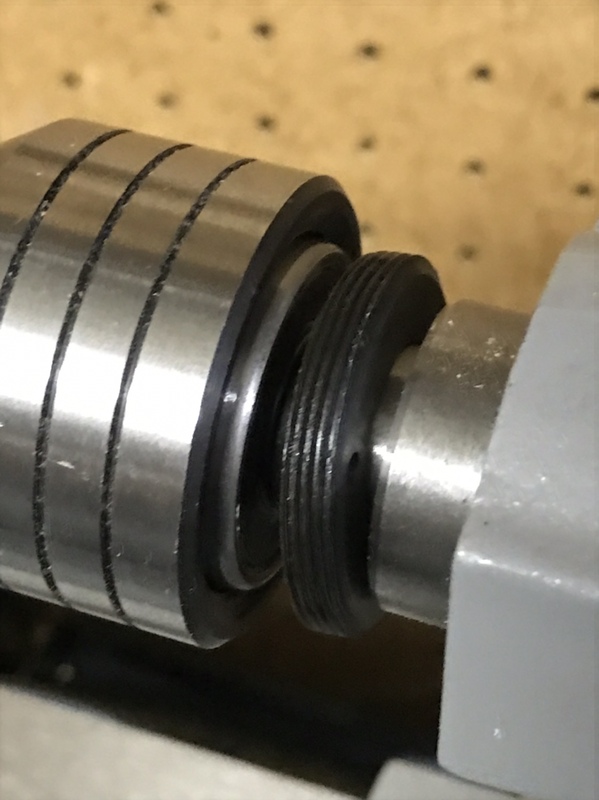 It should not easily come apart even if it was designed to work with normal rotation direction of a wood lathe. I would call King, their customer service is supposed to be excellent.